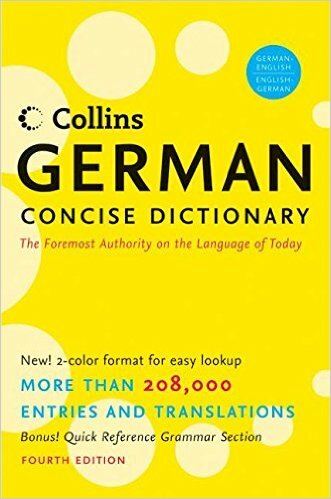 Description The Collins German Concise Dictionary 4th Edition offers up-to-date coverage in a practical, user-friendly format. The dictionary includes over 200,000 entries and translations, as well as a comprehensive grammar section and the latest media, business and German cultural terms. Economically priced and packaged in an easy-to-carry paperback format, this is a best buy on a crowded shelf.